The David was formed out of the ashes of the Collingwood, Ontario 60’s teen sensations, The Marcatos. The Marcatos were formed in 1963 and after playing locally for a couple of years left Collingwood and gained a reputation as a cover band on the Toronto bar circuit between 1966 & 1968. In 1968 the band went into The Sound Canada Studios and laid down a number of tracks that would eventually end up as The David album released later that year. The musicians on the album consisted of Francis Webster (vocals, guitar, bass& chimes), Bill Szekeres (vocals bass), Ted Grimes (vocals, trumpet, piano), Cliff Snyder (trombone, Piano Organ), Tony Lecaillon (drums percussion) John Webster (vocals guitar) and Deborah Kelly (vocals). 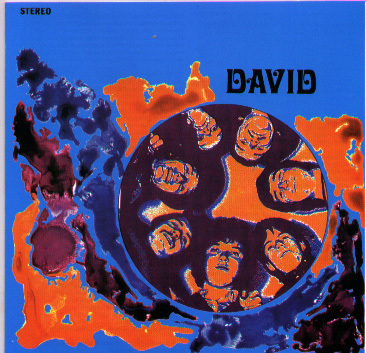 The David album featured nine original songs along with a superb cover of The Beatles, “Hey Jude” and a wild psychedelic arrangement of the blues standard, “House Of The Rising Sun”, previously covered by The Animals. The songs are based around the dreamy vocals of Kelly and contain some complex orchestral arrangements, swirling keyboards and wild electric fuzz guitars. With song titles such as “Flight Of The Egyptian Army”, “Descention” and “Alvin Ashtray”, this psychedelic tinged album is one of Canada’s long lost rarities that has been unavailable for decades. Although the digital transfer on this album is obviously taken from a vinyl source, due to the unavailability of master tapes, the sound does hold up quite well. This CD release features liner notes written with the assistance of former band members Francis Webster and Tony Lecaillon that detail the band’s history and provides where are they now information of band members. Mainly known in collectors circles, The David album is another piece of Canadian music history deservedly resurrected by Gear Fab Records and just waiting to be discovered.